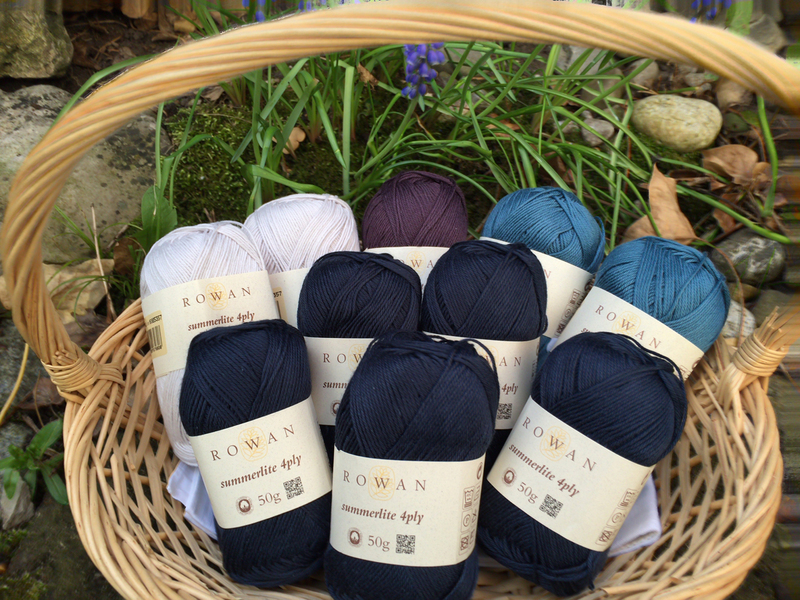 Summerlite 4ply, another yarn Rowan has introduced this summer, is a 100% cotton yarn made of the finest cotton and comes in a palette of 12 shades in wonderful summer tonal colours. I have already worked with this yarn and I must say, it is wonderfully soft. It is as you are knitting with a cashmere yarn, especially the lighter colours. It is producing soft and smooth fabric. Rowan has asked Martin Storey to do 12 designs to introduce this yarn and he has created a bunch of fresh and crisp designs, which are the right companions for summer days. A single button closure bedecks this cropped lace stitch cardigan. Long sleeves and a round neck are there for pleasing you. A faux cable pattern made of lace stitches is shown on this sweater. A boat neck and elbow length sleeves accompanies this design. This design is knitted in plain stockinette stitch and is featuring a deep neckline and deep ribbed welt and cuffs. Marguerite is a long cardigan knitted in stockinette stitch with short sleeves, which are showing a lovely lace detail on their edges. This design is showing alternating cable and beaded panels on both front and back and the long set-in sleeves. Side shaping is used for a flattering fit. This round-neck sweater with three-quarter sleeves is showing a lovely rose fair-isle pattern on both front and back and sleeves. Hellebore is a lovely wrap-over cardigan. It is featuring an all-over lace pattern chaperoned with tiny bobbles and capped sleeves. This design allies fair-isle and lace. It is showing a deep lace welt and a different fair-isle patterns on both front and back. The drop-shoulder sleeves are worked in lace. 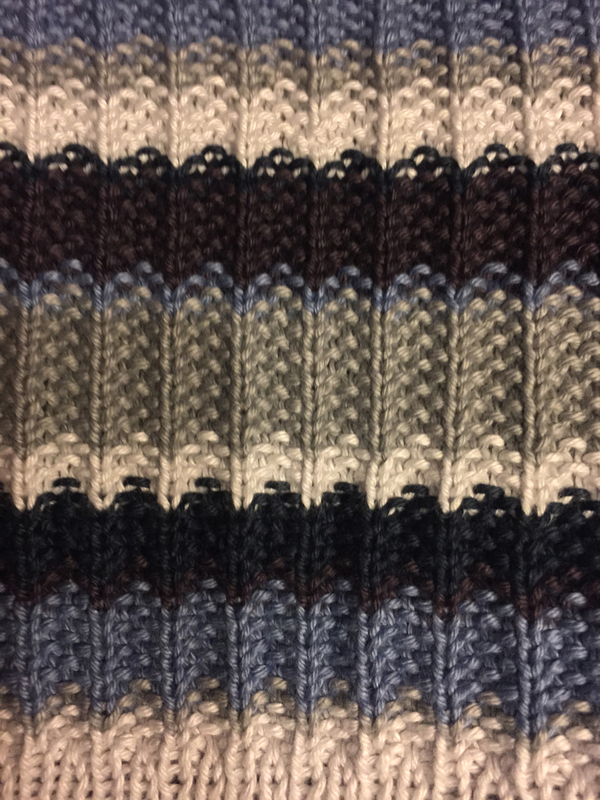 Lunaire is a showing different cable patterns on front and back. The central cable pattern and the main side cable panel are both beaded. The set-in sleeves are worked in moss stitch. This short cardigan is showing a cable and lace pattern on both front and back and the full-length set-in sleeves. This v-neck cardigan with dolman sleeves is knitted sideways. The pieces are joined at the shoulder and the hem is picked up and knitted top-down. It is featuring a lovely lace pattern. This cropped sweater is featuring panels of cables and single motifs – done with cables – on a reverse stockinette stich background. The three-quarter length set-in sleeves are knitted in plain stockinette stitch. Rowan Summerlite 4ply is such a lovely yarn and I started to knit a sweater in this yarn featuring stripes and structure. Love those shades together Konrad! This is a lovely collection, I especially like the mixture of cables and lace. You really make me want to try this yarn. Wow, I could knit all of them! Martin Storey is just a fantastic designer!